Influencer marketing is an extremely popular buzzword today. Even though its entirely not a new concept, the market still has many misconceptions attached to it. Its only with the advancement in technology and subsequent dominance of social media, things are clearing up for good. Influencer marketing is going through its own share of changes and fads for the benefit of influencers and the brands attached to them. 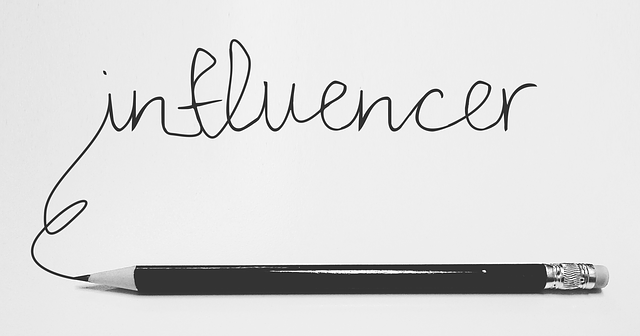 Let’s have a better understanding of what influencer marketing is all about? It’s a smart and targeted kind of marketing which focuses on people who are already influencing others on social media. These are the figures, whom others look forward to, for advice on a certain niche. By focusing on these figures, brands reach out to a very targeted group of customers. Brands make use of the authority these influencers have on their audience, for their own benefits. It’s a lot like the marketing in analog days, where celebrities endorsed products. The only difference is the content-driven campaigns are a result of the collaboration between influencers and brands. Gone are the days when brands focused on pretty faces, they depend on “Subject matter” experts today. Thanks to social media, the reach of today’s influencers is much more in the digital world. Brands are trying hard to impress Influencers and bringing them on board with them. This, in turn, brings their large audience to the brands. This is the same audience, the influencer has gained organically and is loyal to. The art of marketing to an influencer is called influencer marketing. What Influencer marketing is not, irrespective of the misconceptions floating? The influencer will be successful in promoting a brand only when his/her followership is large. Fake influencers, followers and engagement are hard to avoid. The returns you get from influencer marketing can’t be measured. Influencer marketing works best for consumer brands only. Influencer marketing works best with celebrities and people from a media background. You and I both know how fast traditional marketing channels are dying out today. When was the last time an advert on the television convinced you to buy a vacuum cleaner? You want to check reviews and know it performed for others around the globe. Influencers are doing exactly that, reviewing the best of products for you and giving honest (well mostly honest!) feedbacks. More brands connecting with the right influencers organically with their audiences. Influencers are helping brands tell their stories and creating human connections on behalf of them. This makes it easier for them to gain trust on the behalf of the brand and gradually recommend their products. Visual format of content are becoming extremely popular in today’s fast yet fickle world. They convey a message in a more authentic, crisp and interesting manner. Like snapchat, IS is becoming popular because of the convenience it provides the consumer. Influencers are using it to create urgency as the content only stays for 24 hrs. They are using to do reviews, behind the scenes and doing series on Instagram stories. Lives are getting busier day by day and our attention spans reducing simultaneously. The ideal audience today makes use of social media as a distraction. Video content is making it easier for them to digest a piece of information and are highly engaging. Video marketing in all forms FB, Instagram, snapchat are becoming popular for all the right reasons. They are twice as effective as the traditional text-based content. Influencer marketing was in a pretty nascent stage until just a couple of years ago. However, brands were experimenting with a small part of their budgets in influencer marketing. The results were great and the invested costs were nominal when compared to others marketing channels. Brands are seeing the potential and will invest more in influencer marketing this year. This will land influencers more collaborations from different brands. This is why brands will have to offer more than a freebie product or a night’s stay at a resort to convince influencers. As mentioned earlier, more investments are going to be made in this marketing channel. This is the very reason there will be more focus on the metrics that influence these channels. Like other traditional channels, influencer marketing works best when important KPIs are considered. Measuring the returns and the initial investments made will be crucial. It’s important to decide on mutually agreed metrics that are realistic, before working on a campaign. This is how you make influencers follow your brand. The effectiveness of a campaign is not always gauged by how many followers an influencer has, but by how loyal a followership the influencer has. What’s noted is, how organically the influencer connects and influences his/her followers. But it’s extremely easy today to become a fake influencer and buy fake followers online. Hiring such an influencer can be disastrous for a brand with absolutely no results and probably a bad image instead. Brands are aware of this trend and are extremely cautious while deciding on influencers to work with. Are you already on the influencer marketing wagon? Tell us how it’s going in the comments section below. Swaraj Das Mohanty is a Content Marketer at PagePotato. Being a graduate in Journalism from Bangalore University and an ex-Radio Jockey, he helps brands put their best content forward. Beyond work, he is a bookworm who loves to cook and travels in search of lip-smacking street food. Follow him on Instagram.